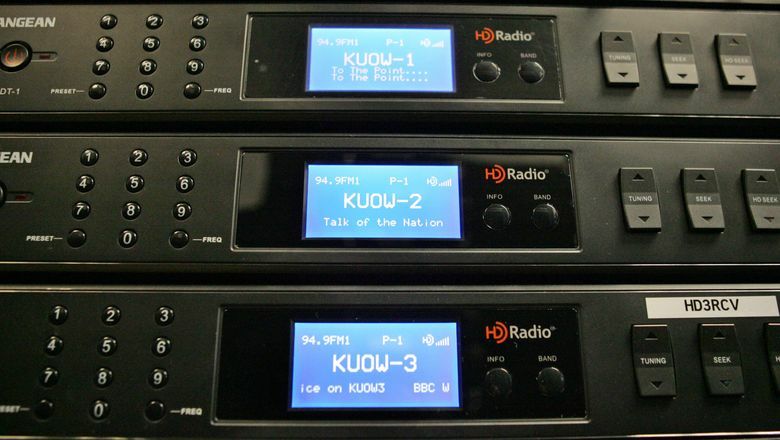 KUOW says it will eliminate seven positions and create seven more at the public-radio station. The decision comes just two months after KUOW staffers elected to form a union, but before a new contract agreement with management. Seattle’s public radio station KUOW is restructuring its morning and afternoon “drive time” shows and eliminating seven positions while creating seven new ones, according to an email from the station’s chief content officer, Jennifer Strachan. Employees in the soon-to-be-eliminated positions were informed that they will be invited to apply for the new spots, which were advertised on the University of Washington’s job board Thursday, but they were also warned that not all will find a good fit, according to Strachan. The change comes about two months after staffers overwhelming elected to join SAG-AFTRA, the union that represents radio and television journalists, but before employees had bargained a new contract agreement with management. Strachan said in her email, which was sent anonymously to The Times, that the seven affected positions are: the morning host position (currently occupied by Emily Fox), the afternoon host position (Kim Malcolm), the morning newscaster position (Lisa Brooks), the afternoon newscaster position (Jamala Henderson), the morning drive time producer 2 position (Rob Wood), the morning producer position (Stephen Gomes), and the afternoon producer position (Tami Kosch). Attempts to reach staffers through their emails at KUOW were not successful. In her email to the KUOW newsroom, Strachan said the new positions will be “substantially different” from the previous ones and that some affected employees may find a good fit while others may not. “Those who do not will be provided the full support of the UW’s transition team and will be eligible for unemployment pay,” she wrote. The changes also include a new position for a morning reporter, she said. Strachan went on to say in her email that the station, which she said has seen record growth with 200,000 people listening to the morning and afternoon shows each week, is not changing its national NPR programming. “For KUOW to continue to grow and serve its local audience, we believe we must deliver more distinctive, rigorous news programming during these important day parts,” she said.